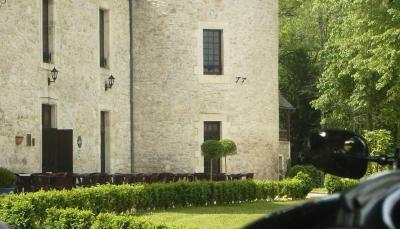 Lock in a great price for Château la Fleunie - Hôtel et Restaurant – rated 8.4 by recent guests! 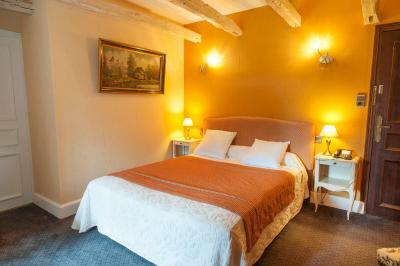 The rooms were very nice and the bed good. The gounds beautiful. The stone and timber dinning room prepared meals I will never forget. Beautiful building restaurant very good breakfast plentiful. 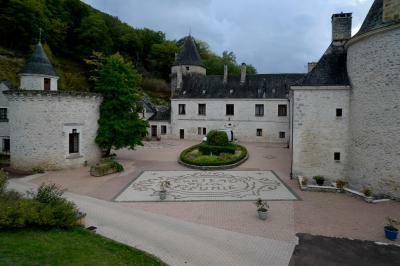 Beautiful château in a gorgeous setting. 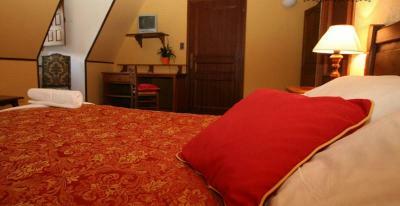 The tower room was very large and quite comfortable. 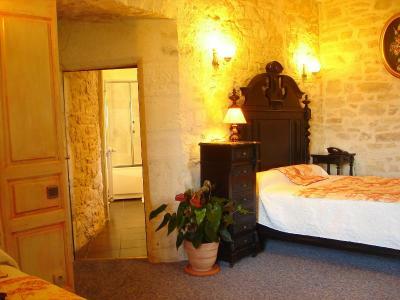 The room might benefit if it had a small couch or arm chair for those who Spend more time in the room -(even though this would not be seen in a medieval chateau.) dinner was delicious and beautifully presented at a moderate price. 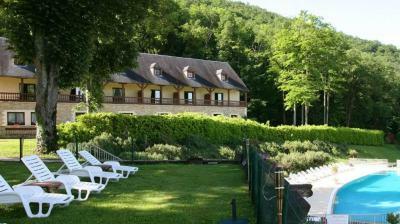 It is in great location for those going to the Grotte de Lascaux. 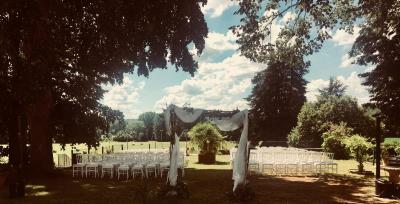 Fantastic location and beautiful environment. Diner and breakfast very good. Romantic place. A Wedding Anniversary treat which was exactly what we were hoping for. 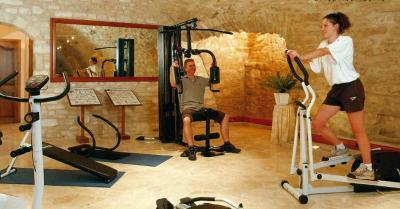 Wonderful location and nothing too much trouble for the staff. The setting is lovely, beautiful buildings and the staff is wonderful. 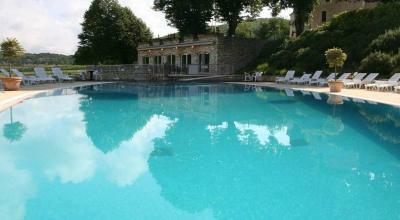 Great pool, beautiful setting on terrace for dinner, easy short drive to Lascaux and other wonders of the area. 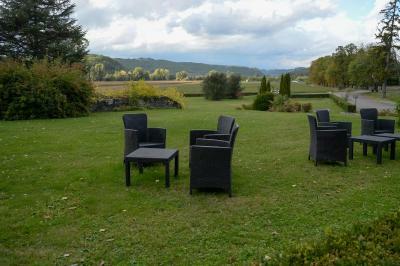 Check out amazing vegetarian restaurant in nearby and tiny village of Thonac. 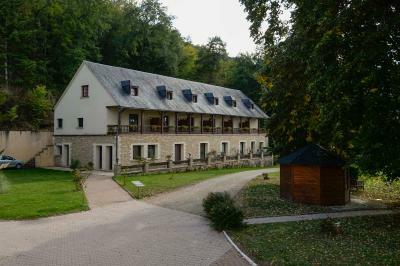 We stayed here two nights mainly because we were visiting Lascaux (excellent) which is only 10-15 mins away. 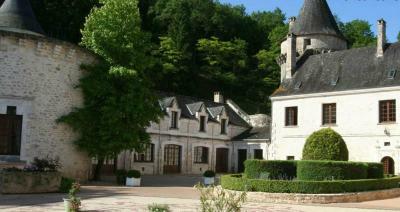 Montignac itself is very nice as well. 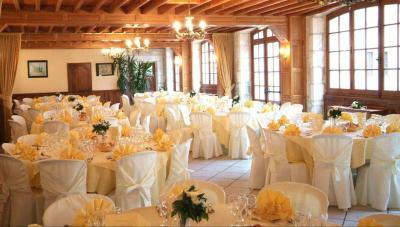 The Château is in a lovely peaceful setting and has an impressive restaurant. The quality of the food in the restaurant was very disappointing, especially for the prices charged. I have eaten here at least twice before when it was excellent. The amuse-bouches were very good. 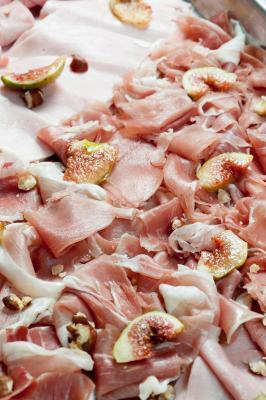 The starter and main courses were generally over-seasoned (outrageously salty) and over-cooked. My wife had 3 bones in her cod fillet! Our accommodation was absolutely luxurious. 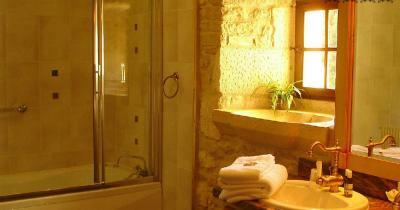 Loved the two clawed baths in the bedroom with great bath salts!! Restaurant staff very welcoming. 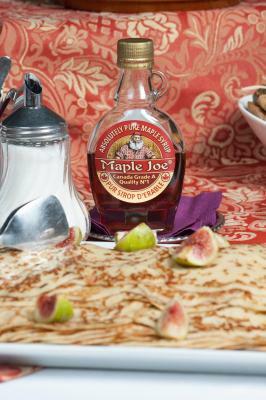 Excellent choices for the breakfasts. Good coffee and assorted cereals and condiments. 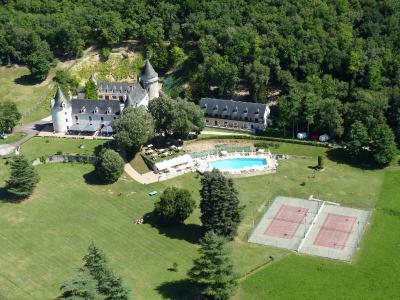 This hotel is housed in a castle on 106-hectare grounds, which include a swimming pool, 2 tennis courts and an animal park. 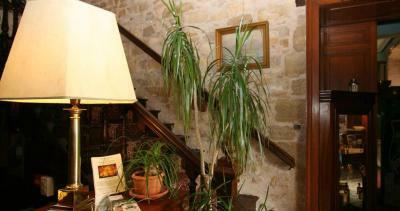 It is located in the Dordogne countryside and also has a sauna and a fitness center. 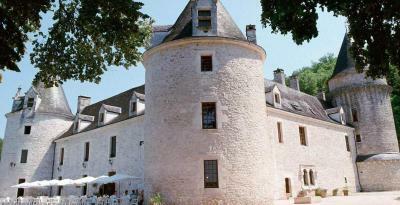 The Château de la Fleunie provides guests with a gastronomic restaurant, a pool-side grill and 2 bars. 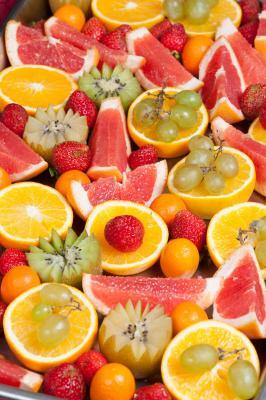 The buffet breakfast features hot beverages, fruit juice, homemade jams, ham, cheese, fruit, cereals and yogurts. 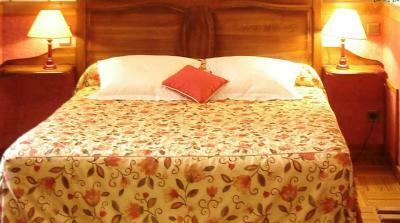 Guest rooms at the Fleunie come with private bathrooms and free WiFi access. 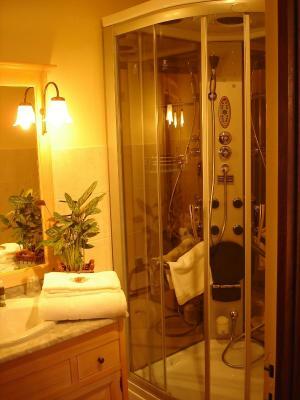 Some also feature a flat-screen TV, spa bath or balcony. 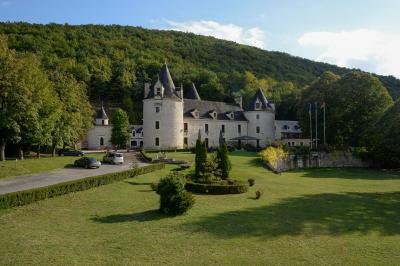 Château de la Fleunie is located on the banks of the Vézère River. 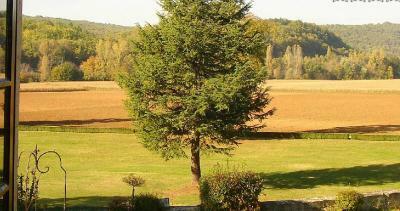 It is 19 mi from Sarlat-la-Canéda, and guests can also visit the Lascaux Cave in Montignac, which is 5 mi away. 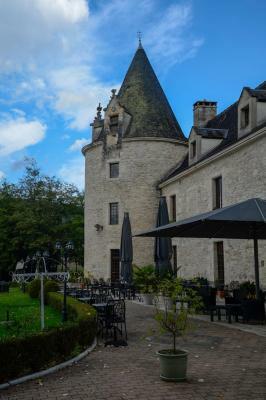 When would you like to stay at Château la Fleunie - Hôtel et Restaurant? 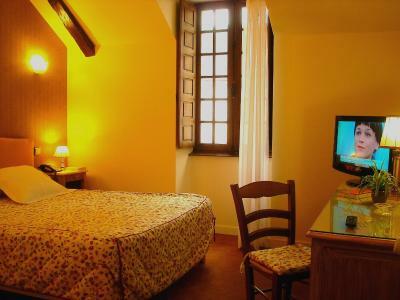 This double room located on the 1st floor of the castle has free WiFi access, a private bathroom and overlooks the castle's courtyard. 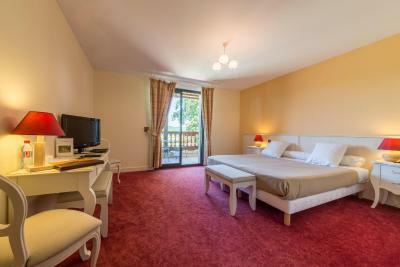 This spacious room with slanted ceiling is air conditioned and features a flat-screen TV. 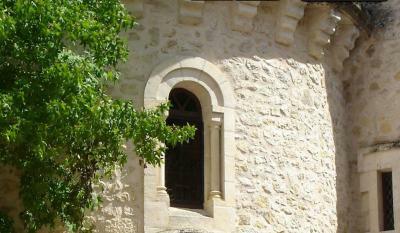 The room is located on the 2nd floor of the castle. This modern-style room features a private terrace with views of the countryside. This family room offers all the modern comfort, some walls feature exposed stone. 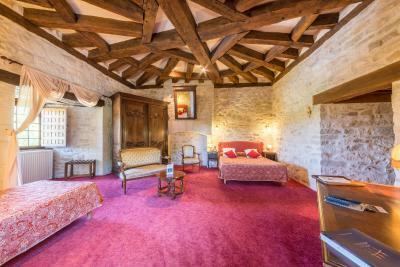 Featuring stone walls and traditional décor, this room is spacious. House Rules Château la Fleunie - Hôtel et Restaurant takes special requests – add in the next step! 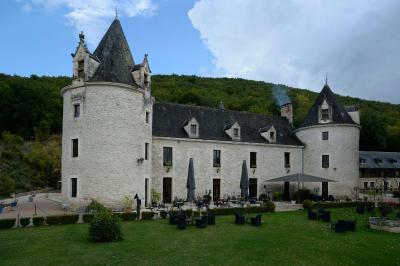 Château la Fleunie - Hôtel et Restaurant accepts these cards and reserves the right to temporarily hold an amount prior to arrival. 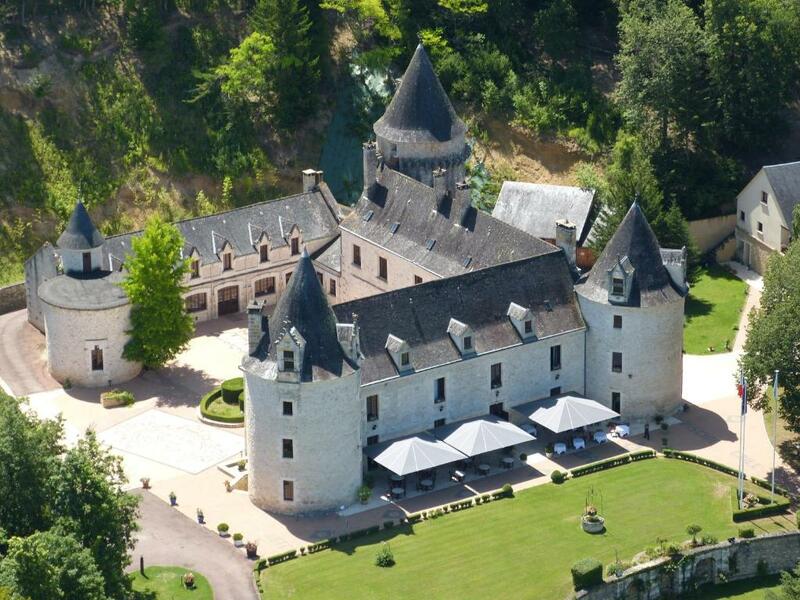 Please inform Château la Fleunie - Hôtel et Restaurant of your expected arrival time in advance. You can use the Special Requests box when booking, or contact the property directly using the contact details in your confirmation. Slight disappointed that the menu did not change from one night to the next. The room was a little "tired", but comfortable. the evening menu was fixed for the whole week and sometimes one wanted a less substantial meal. Also the evening meal was the same as the lunch menu. Dinner served a little too fast. 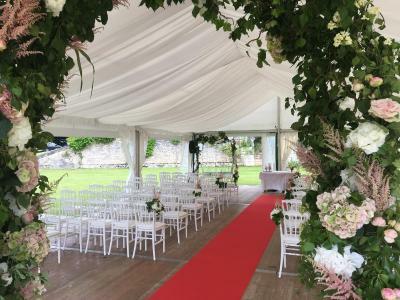 The hotel had everything we wanted for a perfect romantic break the evening menu was good value and beautifully prepared, the room and all areas indoor and out were very clean, the Chateau and surroundings are set in amazing surroundings. 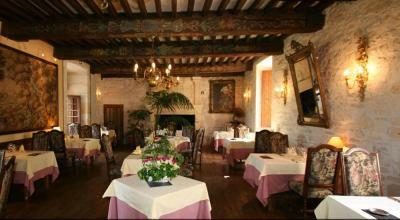 The historical atmosphere was wonderful, the restaurant and its food definitely superior. Friendly, experienced staff. We had booked for a week on half board. 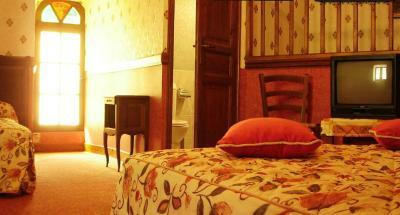 We were not given the standard of bedroom that we had booked and paid for. It was small without air conditioning and overlooking the car park. After complaining we were moved grudgingly but were told we would have to move again to the annex for our final night. When we decided to leave one day early the hotel was very reluctant to refund us the cost of that night. Poor customer service. The location is very attractive. The restaurant staff were very pleasant and professional. 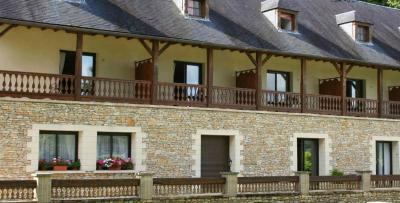 the accommodation was amazing, the staff came frequently to make our stay brilliant. the facilities were great, i.e. 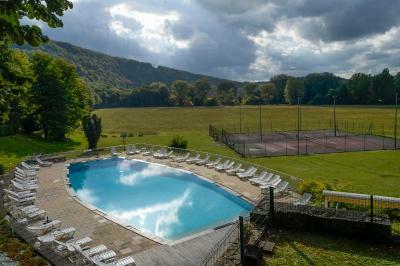 tennis court, pool etc. fantastic place for children to play! I have recommended it to all of my friends for large groups. 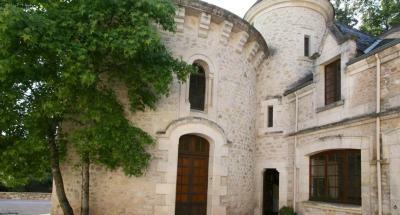 Location and the whole experience from staying in the medieval castle was awesome! Loved the ambiance and the atmosphere with the hint of some creepiness at nighttime when all the staff leaves for the night at 11pm. 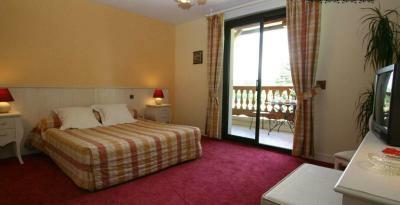 Pool is very well kept and beautifully located. Loved our spa and sauna experience in the dungeon. The only drawback - we didnt have dinner the night we arrived as didnt know that needed to make a reservation for it and that restaurant closes its kitchen at 8-8:30 and no places to eat around there at night. Learn from our experience. Good we had some snacks in the car :). 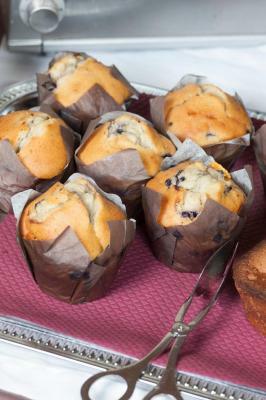 The breakfast was very good though! 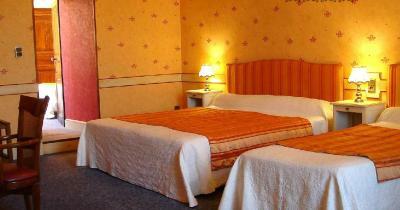 Whilst I appreciate it is a historic Chateau I do feel the rooms could benefit from air con. We were there in August and it was very hot but there wasnt even a fan. Our room was small but comfortable but it could have done with some updating. The decor is very dated and a little tired looking. 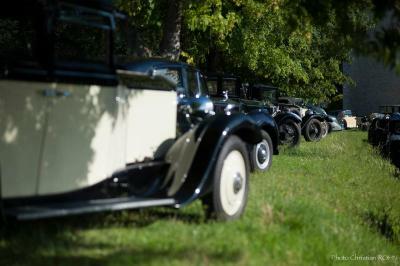 The location and the drive up to the Chateau was lovely. The staff on reception were very welcoming of us and our dog. The pool was lovely and there was a lovely cafe/bar next to that so you could have lunch/drinks etc. 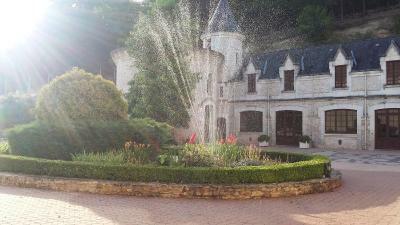 The nearby town of Montignac was absolutely stunning and we will return for sure. 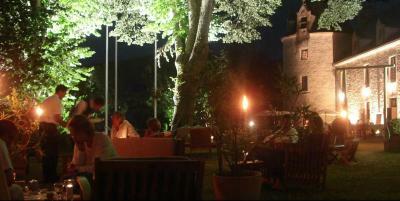 The hotel restaurant is lovely and we had an excellent meal in there with great service in a beautful setting. Afterwards we went and sat outside on the lawn and had more drinks from the bar. The bar staff were also very pleasant indeed.